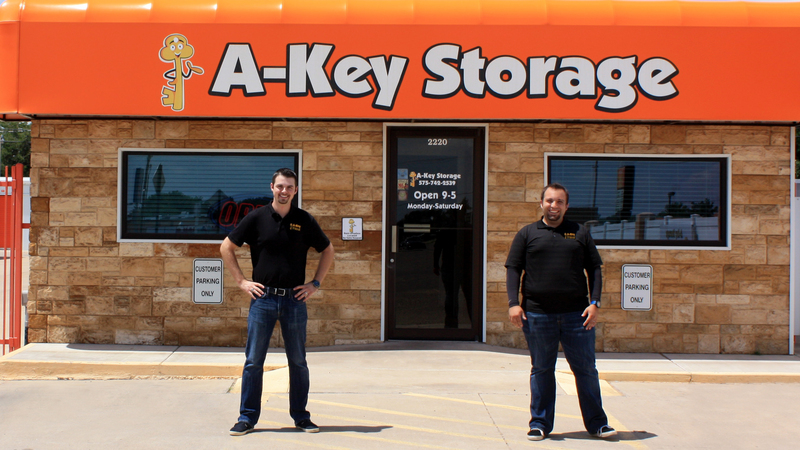 Here is some information about A-Key Storage: A-Key Storage has been a family owned and operated business since it started in 1996. A-Key Storage currently has 3 locations to better serve Clovis, Cannon Air Force Base, and its surrounding communities. We offer a variety of sizes, from small closet-size storage for people who need just a little more room, to large 300 sq. ft. storage spaces for relocating large families or vehicle storage. We also offer climate-controlled units for those precious heirlooms, electronics, appliances, and paintings. These units stay between 50 and 80 degrees and cut down on dust! Our gated facilities are extremely secure with individualized gate codes, 24/7 DVR recorded cameras, and provide secure disk locks for each of our customers. Whether you are a first time renter or a storage pro, our managers are always ready to help you find a perfect unit! We have 24/hour DVR recorded surveillance through out our facility for your peace of mind and the security of your belongings. We have a manager at our central office Monday-Saturday from 9-5 for your convenience. Climate controlled units protect your belongings from extreme temperatures as well as reduce the amount of dust that our desert climate is known for. These units are essential if you are storing any electronics, appliances, wood furniture, pictures, etc. Our facilities are gated and have personalized access codes to maintain top security for our customers and their things. Our facilities have bright, LED lighting to make you feel safe and secure when you access your unit after office hours. Our concrete drives are poured to prevent mud and ruts after a big rain and keep the water away from your unit. We making paying your bill as easy as possible, as it should be! Besides bringing in cash or dropping a check in the drop box, you can also pay right here on our website, or set up your unit on auto pay, where our system automatically charges your debit or credit card on your due date for your convenience.